The Sorrento peninsula and the Amalfi Coast are known not only for the beauty of the places and for the authenticity of the food, even for the refinements of their workshops… Contact Lentino Car service, private driver in Sorrento and Amalfi coast, to plan your shopping tour in Sorrento or Amalfi coast: culture, beautiful scenery, incomparable flavors and… shopping! We’ll pick up at your hotel to discover the famous ceramics of Vietri sul Mare, with their beauty and their centuries-old tradition, dating back to the fifteenth century. Or will advise you on the best fashion boutiques of Positano, where you get lost in a whirlwind of fabrics, thirst fine and bright colors typical of the Amalfi Coast. 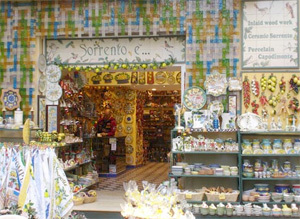 Lentino Drive will take you to visit the most important traditional workshops of Sorrento, where you can admire the realization of the masterpieces made with the age-old technique of inlay, or taste the famous limoncello liqueur made exclusively with the tasty lemons of Sorrento. 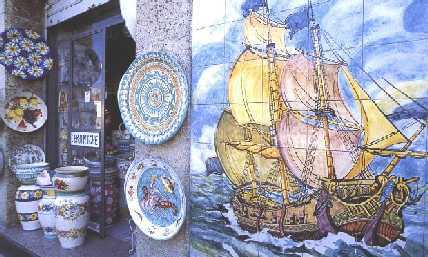 You can also stroll through the narrow lanes of the old town and visit the many shops of handmade souvenirs. But that’s not the Sorrento peninsula and the Amalfi Coast. 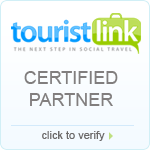 All the Campania region is rich in tradition, and one of the most popular “shopping tour” is to Pompeii. 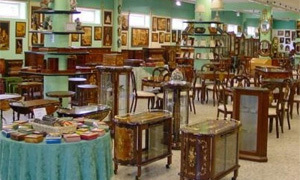 Between a visit to the famous Basilica and a tour through the famous Roman ruins of Pompeii, in fact, Lentino Drive will take you to visit the most known traditional workshops, including those that keep jealously the technique and art of making coral.